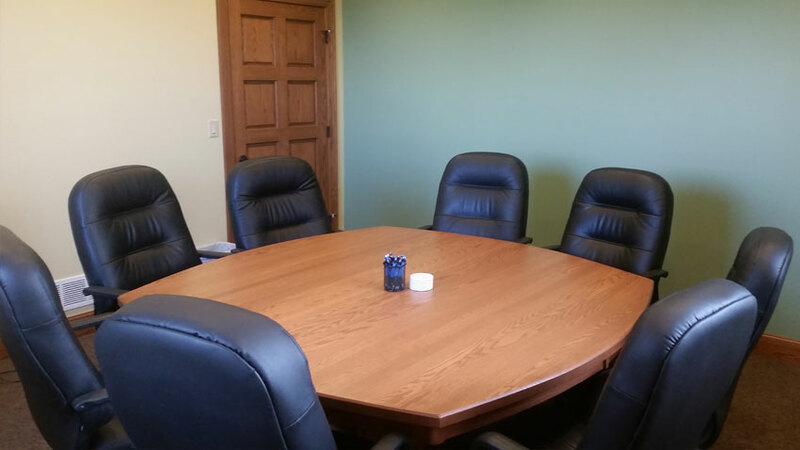 Several of our locations offer meeting and conference rooms that can be reserved and utilized by businesses or organizations. Click on any of the listings below to view additional details about the spaces available. To reserve a room for your next event, simply fill out the facility reservation form. Once your form is submitted, a local Heartland Bank associate will contact you to verify and confirm your reservation. Does the room have video capabilities? Yes, the room has two – 85” HDTVs that can be mirrored to display the same video on both screens. 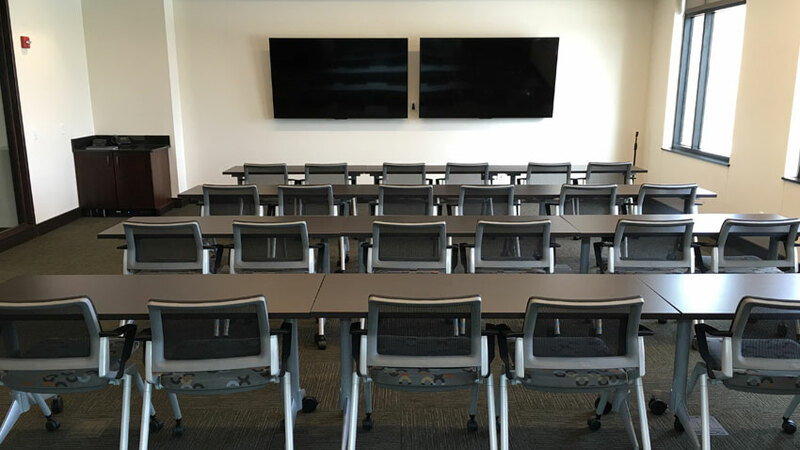 These screens allow presenters to easily display videos, PowerPoints projects, or websites. Having two displays ensure that the audience can easily see the screens from anywhere in the room, even if there is a presenter at the front. The room has a built-in over-head speaker system. This is adjustable ensuring the entire audience can comfortably hear any media played on the screens. Can our presenter plug their computer into the displays and audio system? Yes, our system allows for input from an external computer. The presenter’s computer will need an HDMI or VGA output. We provide both an HDMI and VGA cable in this room. The displays will mirror (show the same video) on both screens. They do not support an extended desktop across both displays when an external computer is plugged in. If our presenter doesn’t have a computer, does the room have a computer to use? Yes, the room has a built-in computer that can be used. It allows for mirrored or extended displays. The computer includes a wireless keyboard and trackpad combo for control anywhere in the room. Yes, the bank provides a public Wi-Fi network. Please ask a Heartland Bank associate for the login credentials when arriving for your event. Are there extra power outlets in the room? Yes, the room has several floor and wall power outlets that can be used during meeting to charge and power laptops and mobile devices. Is the room set up for catering? Yes, the room includes two counter tops in the back for catering setup. One of the countertops also includes a sink. Catering companies familiar with our facilities include Perkins, Runcie’s Catering, & Midtown Mart & Sprits. Yes, the room features separate men’s and women’s restroom directly out the west side door. 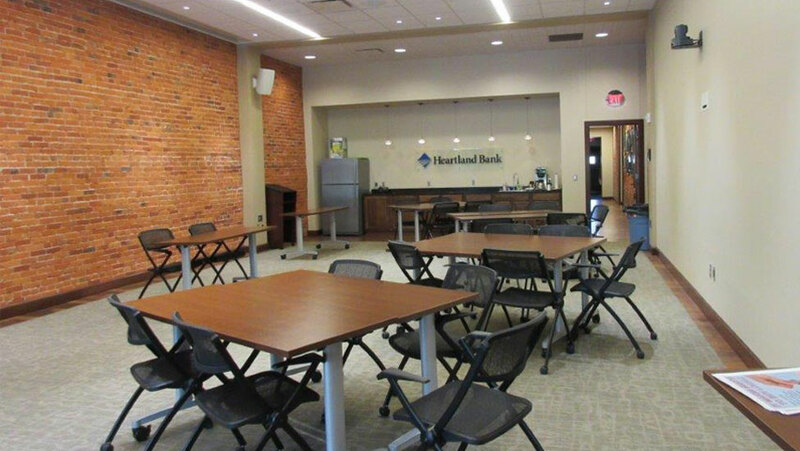 Any and all use of the meeting and conference rooms identified above must be consistent with the rental profile and use guidelines adopted by Heartland Bank. This is also conditioned upon the approval of the Heartland Bank branch president managing the location housing the facility together with execution of a written lease agreement. 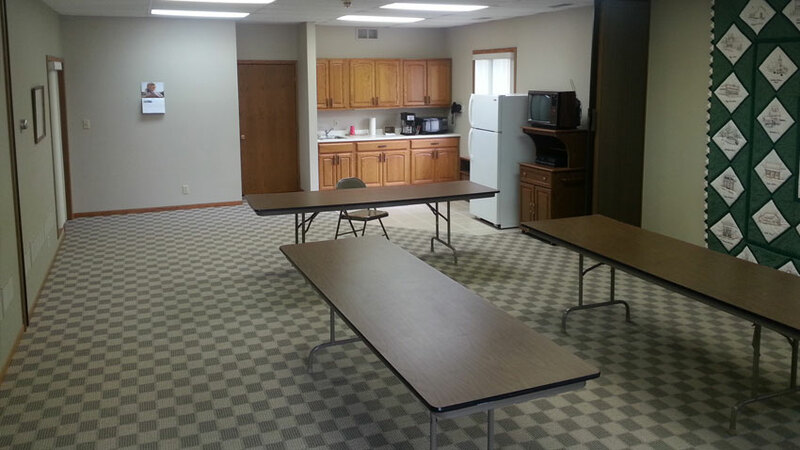 For additional information on renting conference and meeting rooms, please contact Heartland Bank at 800-759-3119.